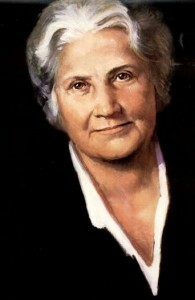 Dr. Maria Montessori was a visionary who was years ahead of her time in the field of education and whose work is supported by modern day discoveries in neuroscience. 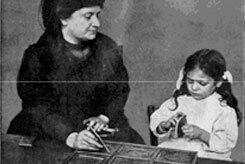 In 1897 Maria Montessori became the first woman to graduate from medical school in Italy. 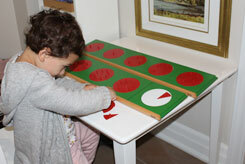 Her skills as a scientist allowed her to observe children as they really are and not as adults wish them to be. 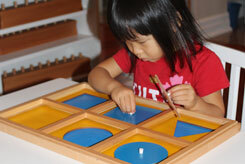 Dr. Montessori noted that children appeared to be driven by an innate curiosity and desire to learn and developed many of the materials used in classrooms throughout the world. 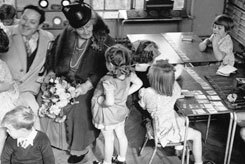 Having received six nominations for the Nobel Peace Prize, it was Dr. Montessori’s desire to create a better and more peaceful world that fuelled her efforts in the field of education. “Children are human beings to whom respect is due, superior to us by reason of their innocence and of the greater possibilities of their future”.